The CNPRC is comprised of four research units with translational research teams that focus on studies that address the remediation of abnormal function at the level of the brain and behavior; the role of development and aging on immunity, infection, and organ structure and function; and the conduct of innovative investigational new drug (IND)-enabling investigations to support new regenerative medicine and gene therapy clinical trials in all age groups. Research activities contribute to the understanding of the underpinnings of chronic disease from the earliest developmental stages through maturation and aging, using new biomarkers and novel in vivo imaging tools. 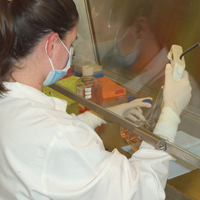 ID Unit scientists conduct preclinical/translational studies on a wide range of viral and bacterial pathogens (e.g., SIV, CMV, Zika virus, H. pylori), vaccine and drug interventions, and mechanisms of host-microbe interactions. Lifespan-related research is conducted through studies that focus on the impact of age on infection, pathogenesis, and vaccine efficacy. 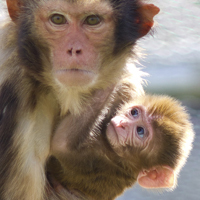 Research is also contributing to the management and health of nonhuman primates through infectious disease diagnostics. NB Unit scientists specialize in research on sociality, affective processes, cognition, neurobiology, and behavior, utilizing a true lifespan approach by studying animals from the prenatal through aged phases of life. 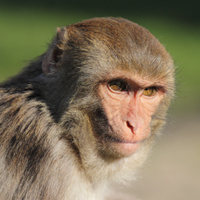 Research in the Unit is translational in nature with the development of many new primate models of human disorders, and with an important focus on the influence of social life on physical and mental health. Visit the Neuroscience and Behavior Research Unit. RSRM Unit scientists conduct studies on gamete biology and reproductive toxicology, study fetal models of congenital and acquired diseases, and have unique strengths in gene- and cell-based therapy/regenerative medicine with a particular focus on the fetus and infant. The Unit has a long-standing commitment to the development and application of novel in vivo imaging technologies and tools including ultrasound, optical imaging, and positron emission tomography/computed tomography (PET/CT). Collaborative studies in the Unit have focused on healthy aging, the menopausal transition, and the impact of environmental agents on reproduction. RD Unit scientists study airway development and remodeling, age-related impact of environmental exposure, and lung immunity. Examples include asthma, environmental tobacco smoke, influenza, and COPD. Each Unit Core Scientist contributes a unique area of expertise in pulmonary research from toxicology and neurophysiology to immunology and airway remodeling. A major emphasis of the Unit is pediatric models of lung disease with an overall goal of understanding how early life environments impact health outcomes with maturity. Members of the scientific staff – representing a variety of disciplines including cell and developmental biology, genetics, psychology, physiology, reproductive biology, virology, and immunology – typically hold joint appointments in academic departments in Schools (e.g., Medicine and Veterinary Medicine) and Colleges (e.g., Engineering, Letters and Science) on the UC Davis campus. Collaborative investigators also work with Core Scientists and conduct specific research projects in their area of interest and benefit from the extensive expertise of the scientific staff. Publications from Core and Affiliate scientists conducting research at the CNPRC can be found here. The Pilot Research Program provides an administrative mechanism by which Principal Investigators in any discipline, and particularly those that are not closely related to the Center’s categorical Research Units, may have full opportunity to use the Center’s resources. This program serves as a resource to the entire biomedical research community, including regional, national and international researchers. 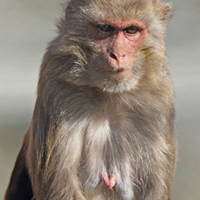 The objectives of the program are to provide resources (including Core Scientist expertise) and facilities for primate research to Principal Investigators who are not CNPRC Core Scientists, and to provide the expertise to affiliates in all facets of the on-site portion of primate research.